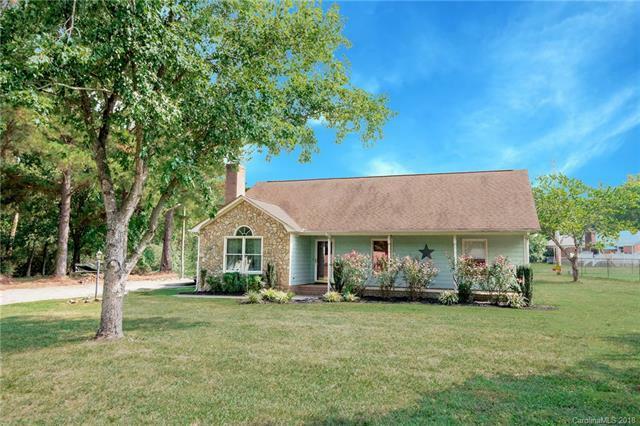 711 Goose Creek Drive, Indian Trail, NC 28079 (#3433710) :: Robert Greene Real Estate, Inc.
Charming home in a country setting just a few miles from I-485. New hardwood bamboo floors in the living area. Open floor plan in w/large kitchen and kitchen island. Large level lot with 743 sq/ft detached 2-car garage that is wired with electricity. Enjoy the deck for a cookout or relaxing.